Almost new Three Bedroom/Two Bathroom Open Floor Plan home with Heated Pool added just two years ago. This great room design floor plan features tons of upgrades including a kitchen with granite counters, stainless steel appliances and wood cabinets, bathrooms with granite counter tops and tiled shower/tub surround, fresh interior paint, built-in computer desk area between the guest bedrooms, paver lanai and pool deck, fenced backyard, electrical box wired for generator and impact windows throughout the home. The South Venice Beach waterfront Community Park offers a boat ramp & ferry service to it's own 1300 foot deeded beach for a nominal fee. Also, Shamrock Park is close-by w/ playground, nature trail, basketball, tennis courts & entry to the Venetian Waterway park & Legacy Trail. Plus, the South Venice Civic Assoc on Alligator Dr offers interesting events & social opportunities. All of this close to shopping, restaurants, golf, entertainment and downtown Venice. Directions:From Route 41, West on Seminole Dr to right on Quincy Road, north on Quincy to right on Foxglove Road. Home is on the left. SchoolsClick map icons below to view information for schools near 550 Foxglove Road Venice, FL 34293. MFRMLS data last updated at April 21, 2019 12:11:15 AM PST. 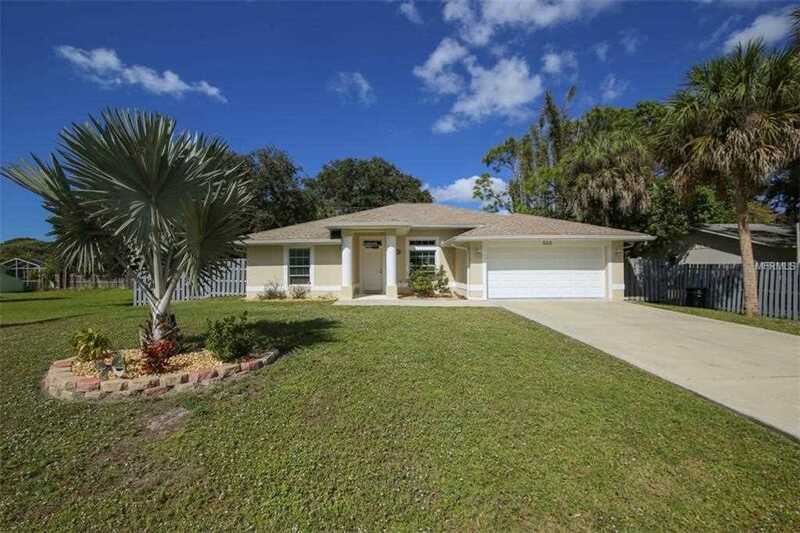 Home for sale at 550 Foxglove Road Venice, FL 34293. Description: The property at 550 Foxglove Road Venice, FL 34293 in the South Venice subdivision with the MLS# N6104243 is currently listed for $295,000 and has been on the market for 69 days. You are viewing the MFRMLS listing details of the home for sale at 550 Foxglove Road Venice, FL 34293, which features 3 bedrooms and 2 bathrooms, and 1598 sq.ft. of living area.